Dragon Age: Inquisition has been out since November, and won a tidy batch of RPG of the year awards for itself since then. It’s going to be a long wait until the next instalment in the series, but in the meantime, like most studios these days, BioWare is releasing DLC that expands the base game experience. Unlike most studios however, the first major narrative DLC for Inquisition is pretty substantial, and actually worth the $15 asking price in terms of sheer content alone. The DLC originally came out as an Xbox One/PC timed exclusive a couple of months ago. Now other platforms are finally getting it. Somewhere in a southern region known as Frostback Basin, word has come of evidence that will finally reveal what happened to the very first Inquisitor who was lost in the annals of history 800 years prior. 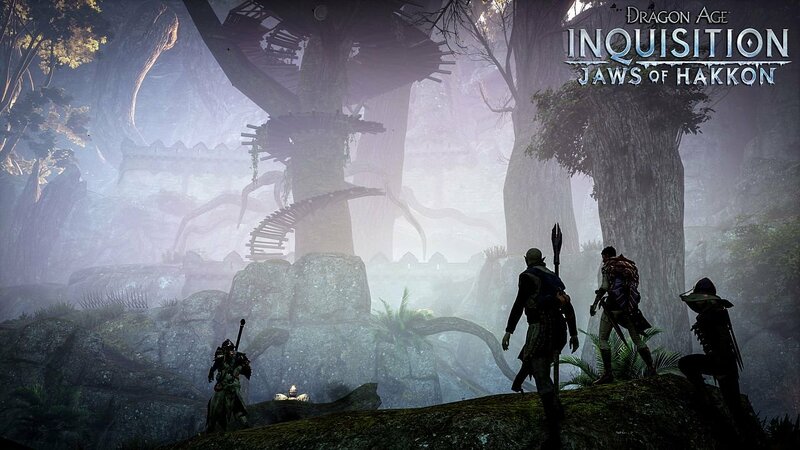 Your own character gets on the case, journeying to the Basin to explore a completely new area and undertake quests. The recommended level is 20, so it’s something best approached near the end or after the resolution of the main quest. What’s most surprising about Jaws of Hakkon is how meaty it is. 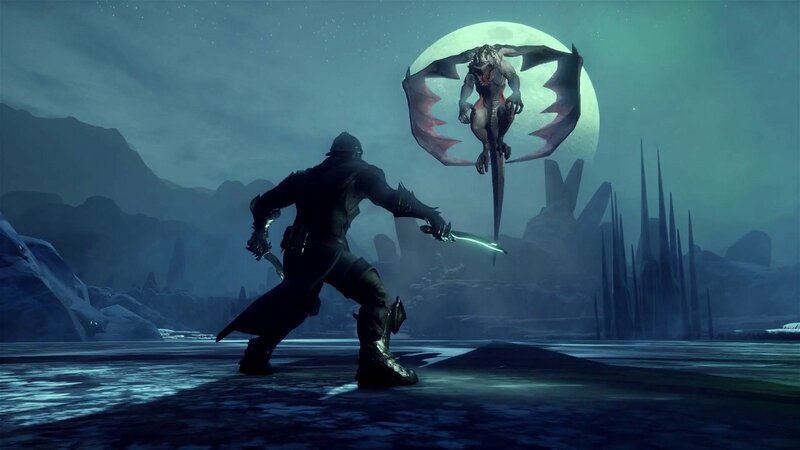 BioWare is asking $15 for this DLC, but it’s really more appropriate to call it an expansion in the exact same way Destiny’s The Dark Below wasn’t. Frostback Basin is a massive new area, equal in size to previous areas in the game, and it carries with it all the hallmarks of those other areas. There are shards to collect, Astrarium puzzles to solve, landmarks to claim and every other optional activity the base game offered whenever entering a new zone. Of course, there’s also that big new quest to tackle, which sees the player roaming throughout the basin uncovering clues about the fate of the very first Inquisitor. As per BioWare’s usual writing standards, this is an extremely engaging tale with some character development for established NPCs, as well as a nice reveal that sheds more light about the roots of the Inquisition. For players that have already done it all in the main game, the big lure—aside from the new quest and area—is the introduction of tier 4 schematics and materials. It’s now possible to make even MORE powerful weapons and armor than before. In some ways, this is a great boon to players going through the game again, as it means smart timing in exploring Frostback Basin can yield very powerful gear much earlier in the game. 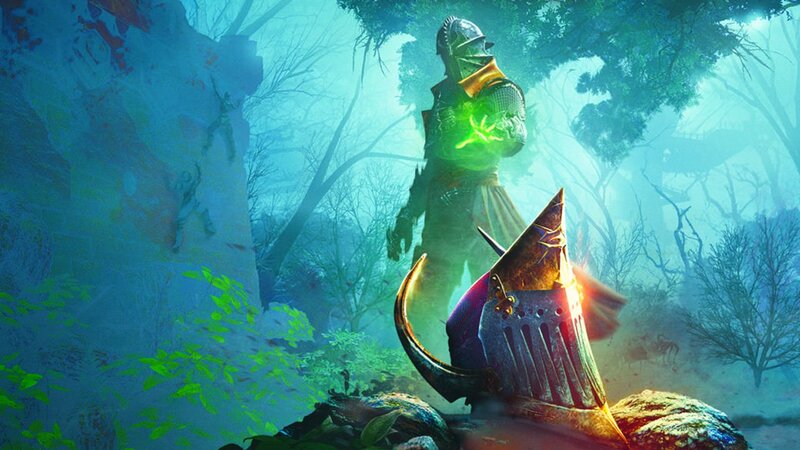 For fans of Dragon Age, this is a meaty, content-packed piece of DLC that will take a few hours to thoroughly explore, and feels like it naturally slips in with the base game content. 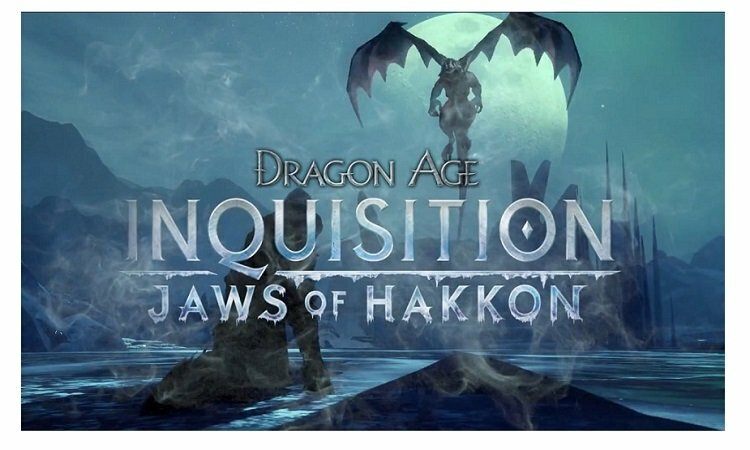 On the other hand—and this is no fault of the content itself—Jaws of Hakkon finds itself finally releasing to other platforms just as The Witcher III is storming across consoles on an almost guaranteed RPG of the Year run. It means anyone not on an Xbox One or PC is likely to ignore the DLC for now. More critically however, it means that the new standards CD Projekt have set for quests makes Jaws of Hakkon feel a little outdated in comparison. That in no way means the DLC is bad, but in the same way health packs were regarded as quaint design relics when Halo introduced regenerating health, so too does Hakkon’s collect-a-thons and sparse cut scenes feel almost retro after Witcher III’s elaborate treatment of even trivial side-quests. 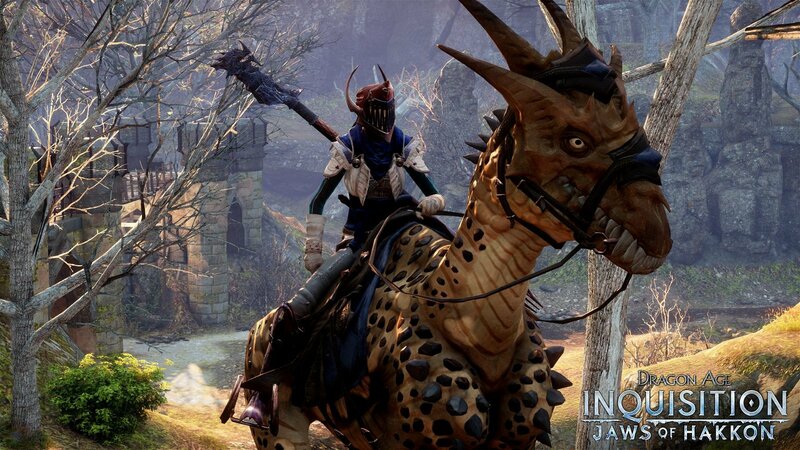 Simply put, Jaws of Hakkon is more Dragon Age: Inquisition, and in that regard, it succeeds. If Dragon Age itself is now less fashionable because of what CD Projekt is doing to RPGs, that’s not the fault of this DLC itself. 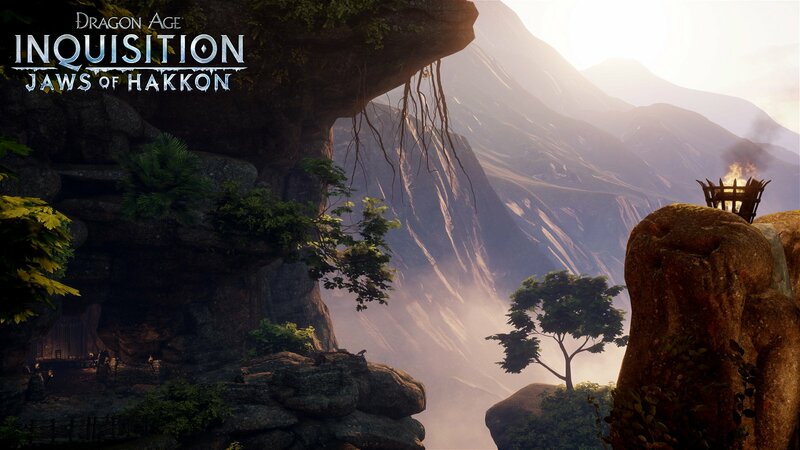 What’s most surprising about Jaws of Hakkon is how meaty it is. BioWare is asking $15 for this DLC, but it’s really more appropriate to call it an expansion in the exact same way Destiny’s The Dark Below wasn’t.